These patterns of behavior are generally contrary to social and cultural expectations. These patterns of behavior are very rigid in that they are displayed over a variety of different situations, even when acting in that manner is inappropriate. These patterns of behaviors lead to issues with functioning, relationships, work, school, and other areas. The patterns of behavior cannot be better explained by the use of drugs alone, some other mental health disorder, or a medical condition, such as a traumatic brain injury. Personality disorders represent stable and enduring matters of interacting with others that are considered to be dysfunctional, result in distress to the individual and/or others who interact with the individual, and are resistant to change. All personality disorders are considered to be severe manifestations of psychopathology. One of the most severe personality disorders is borderline personality disorder. The American Psychiatric Association lists 10 formal personality disorders arranged in three general clusters. These clusters of personality disorders represent the primary focus of the disordered aspect of the individual’s personality that leads to issues with functioning and relationships. Borderline personality disorder (BPD) is characterized as a personality disorder where the primary dysfunction is one with dramatic and/or eccentric emotional type responses. The term borderline was originally used in the description of the disorder to signify that individuals with this presentation appeared to straddle the border between being psychotic and “normal.” Thus, as one may expect, individuals diagnosed with BPD present with severe traits that may produce significant distress in themselves and others. Severe impulsivity that occurs in at least two aspects of one’s life and has a potential to injure the person in some way, such as driving erratically, substance abuse, binge eating, etc. Again, the individual would have to consistently display five or more of the nine characteristics to be considered for a diagnosis of BPD. Moreover, individuals with personality disorders typically do not view themselves as problematic, but instead perceive everyone around them as being problematic. Thus, unlike individuals with depression, anxiety, or other psychological disturbances, individuals with personality disorders typically do not seek treatment for their personality issues. They are often referred by others for treatment or come to treatment for issues related to their relationships or for feelings of depression, anxiety, etc. There are several characteristics of BPD that predispose those with the disorder to also develop substance use disorders. Obviously, features like impulsivity, unstable personal relationships, mood swings, insecurity associated with chronic feelings of being alone or abandoned, and chronic problems with one’s ability to identify with others are issues that produce a great deal of distress. Experiencing any of these qualities by itself would be a precipitating factor for substance abuse, and individuals with BPD suffer from several of these issues concurrently. It appears that abuse of alcohol and prescription medications is common in individuals with BPD; however, people with BPD are prone to abusing any drug or medication. The comorbidity between BPD and substance use disorders is extremely high. Studies have placed the lifetime prevalence of having both BPD and a substance use disorder as being close to 50 percent (i.e., half of individuals with BPD experience some issue with substance abuse). Many studies report that this comorbidity is even higher. Personality disorders are difficult to treat overall, and BPD is an especially difficult personality disorder to deal with in therapy. 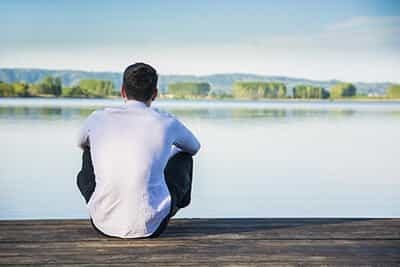 This is because of the tendency of individuals with BPD to not follow treatment plans and to suddenly drop out of treatment – again, demonstrating the impulsive and unstable nature of the disorder. In addition, a high percentage of individuals diagnosed with BPD demonstrate a tendency toward self-harm that often includes suicidal behaviors and suicidal thoughts. This problem is amplified when the individual is also abusing alcohol or drugs. Thus, BPD is a very complicated disorder to treat, and the added burden of a substance use disorder complicates the issue even further. Because of the severe nature of BPD and an even more complicated interaction between BPD and substance use disorders, a team approach is often utilized to treat these individuals. One particular type of therapy, known as Dialectical Behavior Therapy (DBT), is especially suited for the treatment of BPD. Individuals with comorbid BPD and substance use disorders typically have an individual therapist, a group therapist (sometimes, the same therapist may act as both the individual and group therapist), a psychiatrist, and perhaps substance abuse counselors, vocational rehabilitation counselors, and case managers. These individuals work together to make sure that all of the treatment providers focus on the same set of goals and keep the treatment consistent. Individuals with BPD are particularly adept at trying to play one therapist or person against another, and any deviation or inconsistency from the formal plan of treatment can be used by the person with BPD to that effect. As a result, it’s important that all treatment providers are on the same page and regularly meet to discuss the client’s progress. The different modes of therapy attempt to work together. During individual and group therapy sessions, clients learn to tolerate the experience of stressful and uncomfortable emotions, fears of abandonment or rejection, issues with suicidal thoughts and self-harm, etc., and clients learn positive coping strategies and problem-solving strategies. Psychiatrists will typically prescribe medications that address the specific symptoms, such as depression or anxiety, that contribute to the stress the person experiences. There is no single medication that addresses BPD. Substance abuse counselors address the person’s use of drugs and/or alcohol and assist the person in developing coping strategies and relapse prevention strategies. Individuals who suffer issues with their occupation or at school may engage the assistance of a vocational rehab counselor to address these specific issues or to help them find suitable employment. Because the substance abuse issues associated with BPD do not occur in a vacuum and often result from the individual’s mental health issues, it is essentially impossible to treat BPD without addressing substance abuse issues when these are present.